At Halloween Express we stock more costumes in more sizes and more styles than anyone for Halloween but as one of the largest costume retailers in the country, we also offer Easter basket party supplies, Easter Bunny Costumes and even funny Cinco De Mayo costumes! 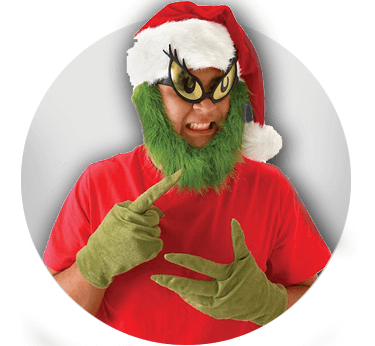 In fact, no matter the holiday or event, we stock the unique and hard to find costumes, props and decorations in styles and sizes no one else has. That's why you'll find all of the latest styles and hard to find costumes and accessories right here in one place. Looking for Costume Ideas? 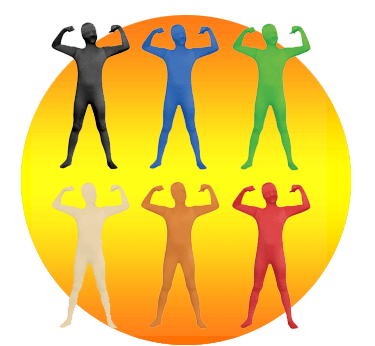 If you're having a difficult time deciding what you want to be for Halloween - or anytime of year - check out our HALLOWEEN COSTUME IDEAS section where we have assembled more than 300 costume ideas segmented into 15 different categories to help with your search. Of course you'll also find the latest costumes from your favorite movies. If you're interested in making your own DIY Halloween costume, we can help there too! Our collection of over 60 DIY How-To-Videos are a wealth of knowledge to help you make the most of your Halloween costume this year. Halloween Costume Resources. When it comes to favorite holidays, many folks say Halloween is high up on their list. Over 67% of Americans celebrate Halloween, whether it is by trick-or-treating or going to a costume party. The fact is Halloween has become a holiday that is no longer considered just for kids to enjoy. Of course finding that perfect costume or even deciding what you want to dress up as for Halloween can be an agonizing decision for some. And then once you do decide, no one wants to be wearing the same costume as everyone else. Most people want to be unique - to stand out from the rest. 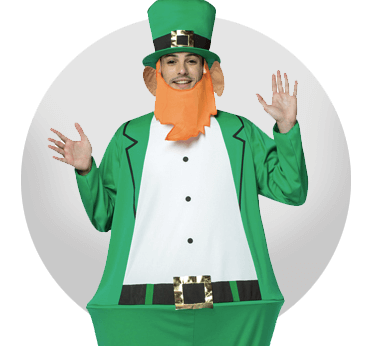 Even if you're dressing up for an event other than Halloween - whether it be Santa Claus for a Christmas event, Mardi Gras, St. Patricks Day or even Uncle Sam for a Fourth of July Event - finding ways to make your costume different can be challenging. The same holds true for decorating your home for Halloween or throwing a Halloween party. There's so many options it's overwhelming. Where do you start? Never fear! We're here to help. Our Halloween Costume Resource Center contains one of the most exhaustive lists of helpful and informative costuming and decorating tips, tricks and resources you'll find anywhere. In addition to over 50 How-To videos that walk you through step-by-step, the process to create a unique costume look that will set you apart from everyone else. We've also provided links to nearly 100 articles and video resources to assist you with everything from decorating your home for Halloween, choosing the right pumpkin to carve, understanding the differences in fog machines, how to care for latex masks and even some popular recipes sure to be a hit at your next Halloween party. And we're adding more material all the time. Customer Service When it Matters. Nowadays you can buy a Halloween costume pretty much anywhere. The online world is filled with pop-up stores and one-off sellers who only sell costumes in October and then disappear. Or, in addition to selling Halloween merchandise they also sell cell phones, copiers and staplers. At Halloween Express, selling Halloween costumes is our core business. It's what we do and we do it year round! In fact we've been doing it since 1990. You might say we're experts at all things Halloween. If you have a question about an item you see on our website or have a request, our team of Halloween specialists are here to help. You can reach us by phone, email or even Live Chat. During the Halloween season we're open 7 days a week to assist you. You can place your order here online or you can give us a call. Our call center is staffed by knowledgeable personnel who know what they're talking about. And if we can't answer your question, we'll follow-up. After the sale we want you to be satisfied with your purchase. We understand problems occasionally occur with orders and deliveries. We also understand that sometimes customers change their mind. Our commitment is to provide the best, hassle-free resolution we can. Simply put, if you purchase an item online on this website and are not satisfied with your purchase, you can return the item to us within 30 days for a refund. While we have a liberal return policy, there are some limitations so we encourage customers to make sure they review the details of our return policy here on our site. About Us. Halloween Express is one of the most aggressive and dynamic Halloween chains in the United States. Started in 1990, Halloween Express has both company owned and franchised locations throughout the U.S. Our success is based on offering the largest selection of Halloween merchandise available anywhere. Our merchandise assortment is updated annually to ensure that the latest product trends, as well as the tried-and-true best sellers and licensed product are part of the merchandise mix. Each season we scour the planet looking for the latest and most sought after costumes and accessories available today. By leveraging the buying power of our retail store locations coupled with our year-round ecommerce operation we're able to offer the absolute largest selections of Halloween costumes and Halloween related items you'll find online. Plus, with over two decades of experience in being one of the largest and most respected Halloween costume and accessory suppliers out there, you can make you purchase with confidence knowing that we'll be here. 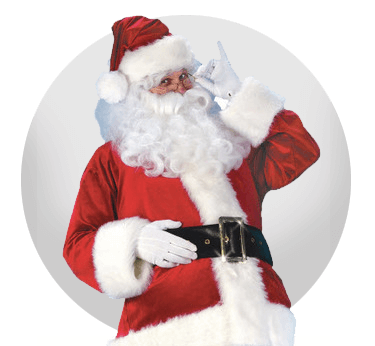 We continue to offer all seasonal costumes and accessories 365 days per year. You'll also find us on Amazon, EBay and JET. While we encourage you to visit one of our retail locations during Halloween season, you can find the same great selection of merchandise here on our website year round. See All Over 60 videos on how to create some of the most common costume looks using inexpensive makeup and other special effects and accessories found right here at Halloween Express. Plus, numerous make-up tips and tricks! There's literally something here for just about every possible Halloween costume look you can think of.